In both classes, students work on Maths daily for at least an hour. The school uses Maths Plus as the basic text and Mathletics for individual development, on-line. As much as possible, Maths learning is practically based and linked to other areas. 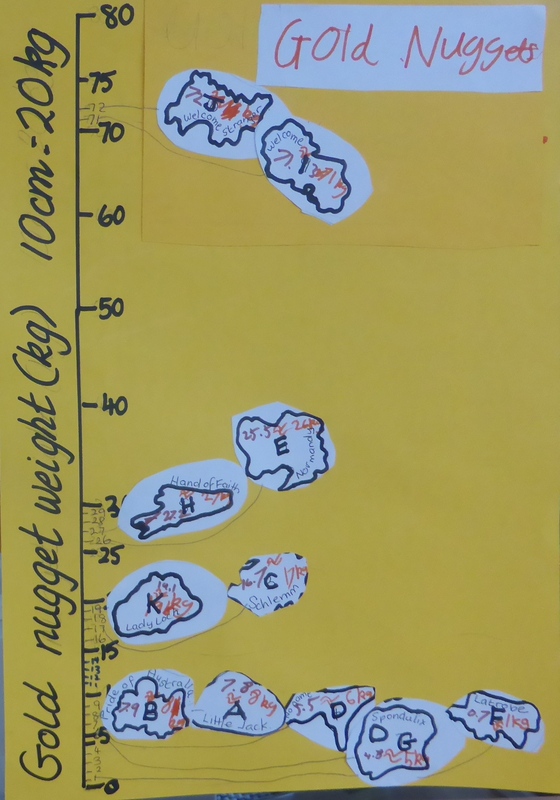 During the Gold Rush studies, we made a rank-size graph of the biggest nuggets in the world. 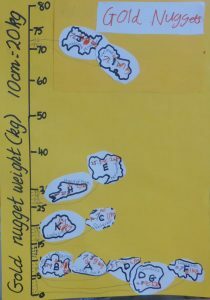 We found 4 size groups: from 1-5 kg, 15-20 kg, 25-30 kg and the whopping 70-75 kg. We also made a timeline of the discoveries- timelines are a mathematical skill used especially in history. Vee Huff and Jeanie Clark, class teachers.